The Homeschool Buyers Co-op is pleased to offer the BEST DEAL ON THE PLANET for a 1-year subscription to Elementary or Middle School Science, Biology, and Chemistry courses from the award-winning Scientific Minds. 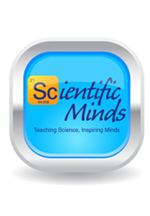 Scientific Minds provides web-based programs for teaching and learning science in any setting, providing hundreds of lessons that help students master important science objectives and prepare for state assessments, college, and careers. 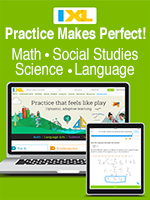 From any computer with internet access, students can log in to the Science Sidekicks (bilingual, grades 3-5), Science Starters (6-8), Biology Starters, or Chemistry Starters to study, prepare for tests, or practice new content. Visit the Scientific Minds website for more information. Review the FAQs for any of these products. Fulfillment: Within 15 minutes of receiving your order, the Co-op will publish a discount code in your Co-op account that you can use to acquire your subscription at the Scientific Minds website for no additional charge. Just sign into your Co-op account and look for instructions and a link in the the "Science Starters" section of your "My Subscriptions" page. Shipping: There is no shipping charge. Returns/Cancellations: In order to bring you these great prices, we cannot accept cancellations. Please sign up for the free trials and review all available information BEFORE you place your order in order to be sure that you really want this program. The Science Sidekicks for Elementary Grades 3-5 Homeschool One (1) Year Subscription: One (1) Teacher License and Three (3) Student Licenses. 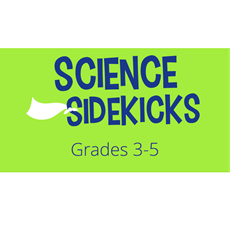 Science Sidekicks is a comprehensive, bilingual science program for grades 3-5. 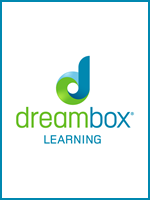 It consists of 121 web-based lesson modules with 6 learning areas that provide journaling prompts, a digital picture book with an audio option, discussion opportunities, vocabulary support, digital assessment, hands-on activities, and exit tickets to guide learning. Each module is provided in English and in Spanish. Science Sidekicks are research-based and aligned to 3-5 science standards in all states, so they support ANY science curriculum. Note: The Science Sidekicks program teaches the evolutionary perspective. The Science Starters for Middle School (Grades 6-8) One (1) Year Subscription: One (1) Teacher License and Three (3) Student Licenses. 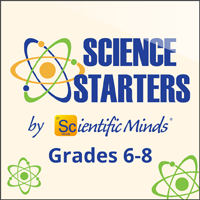 The Science Starters program is a series of 120 web-based, digital video lessons that break science standards into bite-sized chunks of instruction. In addition to 6th-8th grade science content, each Starter module contains interactive vocabulary flashcards with Spanish terms (over 500 in the program) and a 10-question digital quiz with feedback. Each module has a video w/audio option that students can use for independent study as well as a teacher-guided option for whole-class instruction. Note: The Middle School Science Starters are aligned to grade 6-8 science standards for all states, Puerto Rico, and the NGSS and can be used to supplement any science curriculum. The Biology Starters Homeschool One (1) Year Subscription: One (1) Teacher License and Three (3) Student Licenses. 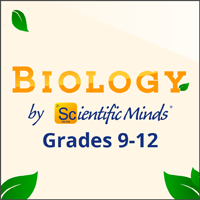 The 110 Biology Starters can be teacher-guided or played as videos to teach foundational Biology concepts and prepare students for state assessments, college, and careers. 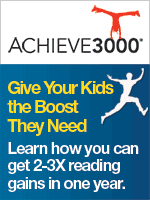 Interactive vocabulary flashcards and assessments make the program ideal for the homeschool environment. Each lesson is aligned to state standards and is an effective tool for review, remediation, and enrichment. Note: Science Starters Biology teaches the evolutionary perspective. 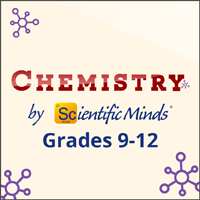 The Chemistry Starters Homeschool One (1) Year Subscription: One (1) Teacher License and Three (3) Student Licenses. 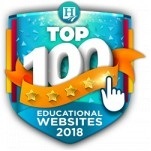 The 101 Chemistry Starters can be teacher-guided or played as videos to teach important Chemistry concepts and prepare students for state assessments, college, and careers. Interactive vocabulary flashcards and assessments make the program ideal for whole class instruction or independent study. 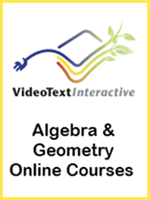 Each lesson is aligned to state standards and is an effective tool for review, remediation, and enrichment.